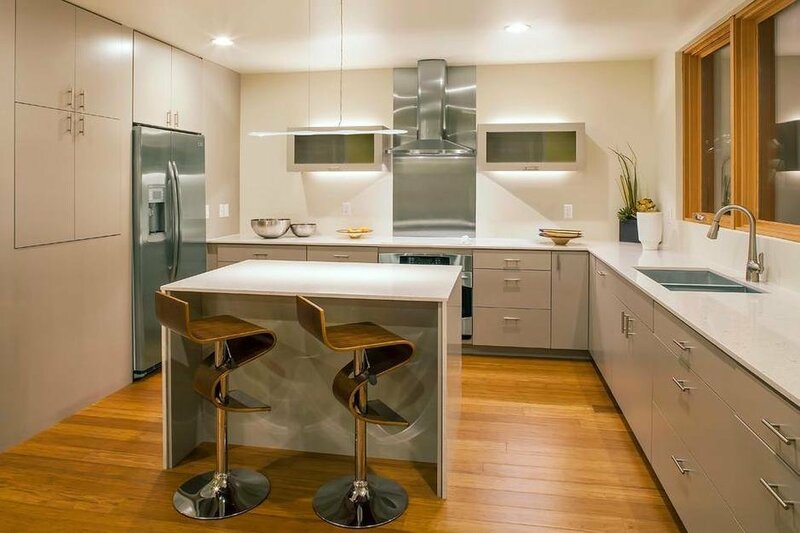 Natural bamboo flooring was used throughout the home, as well as dimmable LED lighting. The house incorporates a hybrid heat pump water heater, which draws in ambient heat from the surrounding air, moves it across condenser coils, then transfers it into the tank to heat the water. This device creates the same amount of hot water as a traditional electric water heater, but reduces water-heating expenses up to 62%.